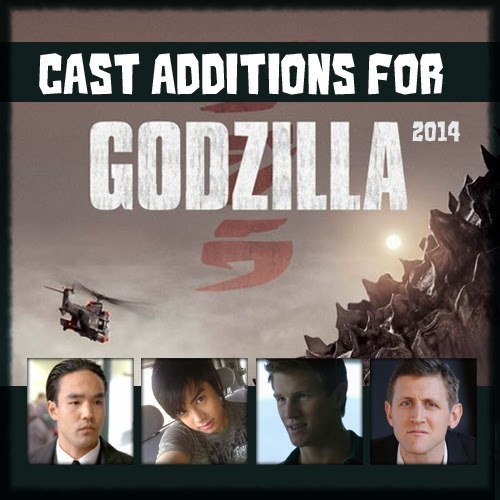 Dread Central announced some new additions to the Godzilla 2014 cast. Read an exerpt from the announcement below and then a little extra sleuthing (typing names on IMDB.com) we did just for you. Warren Takeuchi (Lake Placid, Deep Rising), Anthony Konechny (Night Witness), Primo Allon (Seventh Son), Jeric Ross, and child actors Carson Bolde and Jake Cunanan have all signed on. They join the previously announced Aaron Taylor-Johnson, Richard T. Jones, Elizabeth Olsen, Bryan Cranston, David Strathairn, Patrick Sabongui, Yuki Morita, Brian Markinson, Juliette Binoche, Akira Takarada, Victor Rasuk, C.J. Adams, Ken Yamamura, Raj K. Bose, Christian Tessier, Ken Watanabe, Peter Dwerryhouse, and Chris West. On IMDB Warren Takeuchi will be playing Akio's father and Jake Cunanan will be playing Akio. Anthony Konechny is not listed as a cast memeber on IMDB yet, so his role is a up ion the air. Finally Primo Allon will be playing the part of a Mine Team Member. Unrelated to casting but maybe just as intriguing, there is an uncredited role of a FEMA camp survivor played by Chris West. Check out more details at Dread Central's post Good Morning Godzilla - Yet More Casting News Stomps Out! And of course you can check out more details as the unfold on IMDB's Godzilla 2014 page.